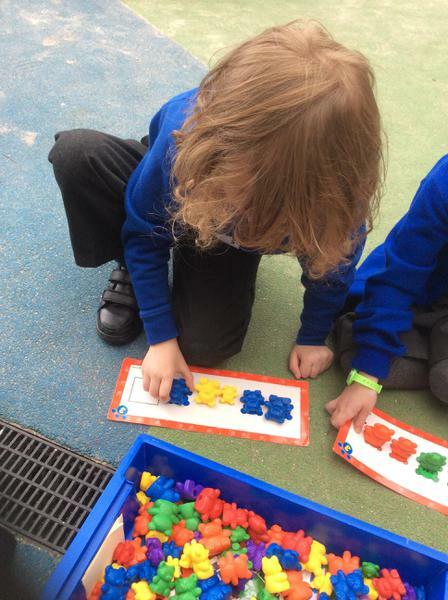 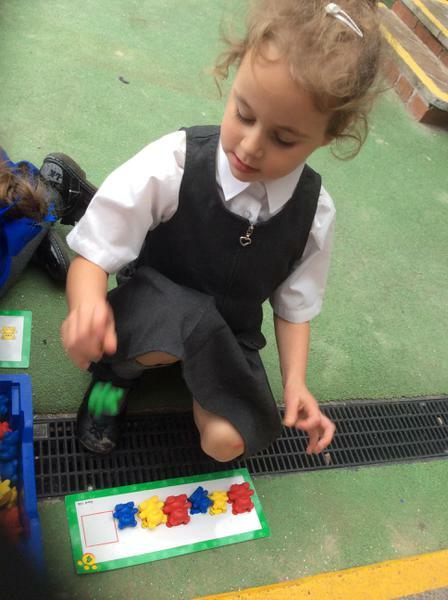 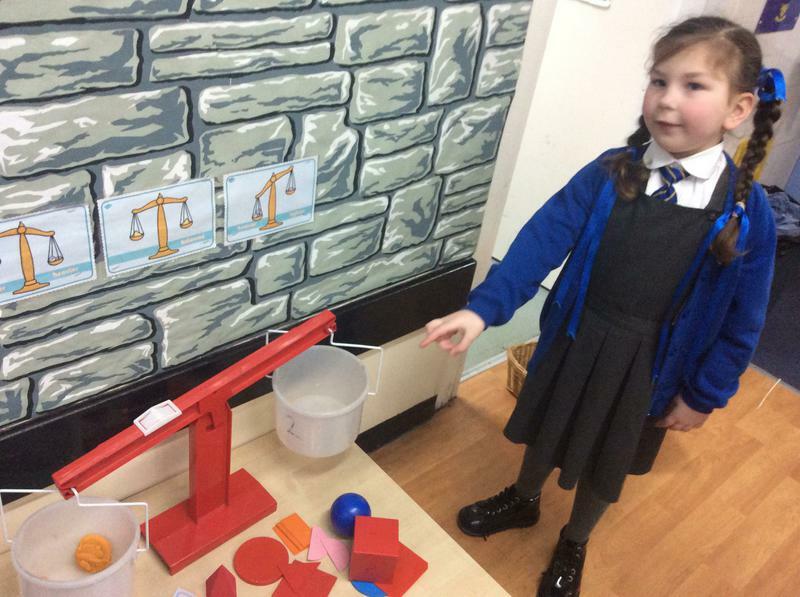 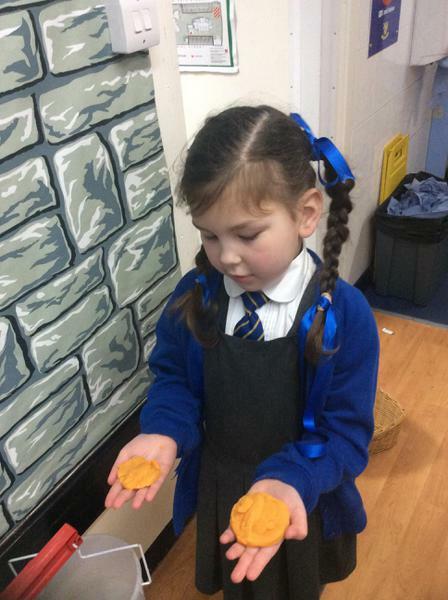 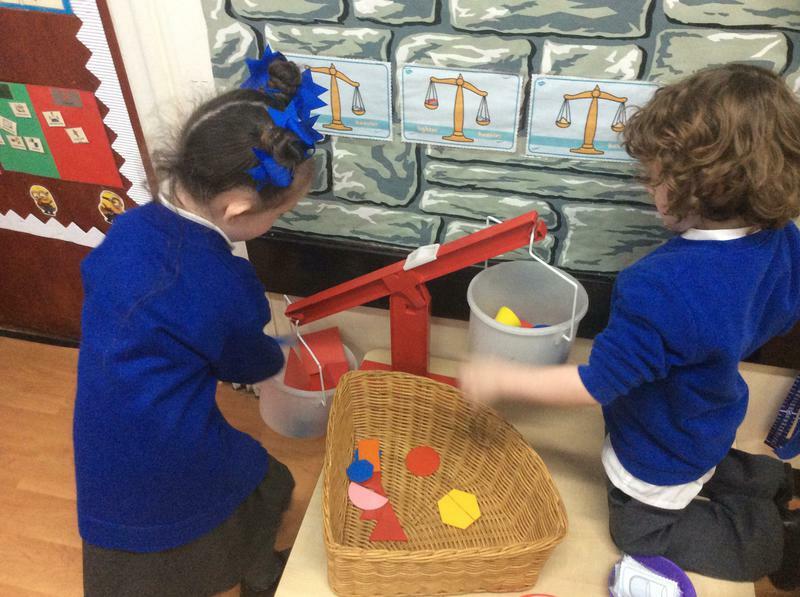 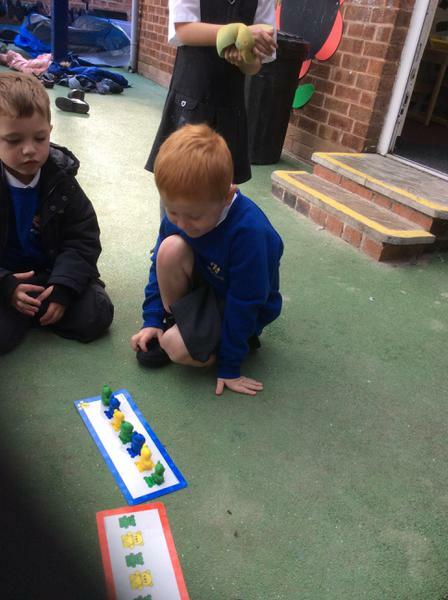 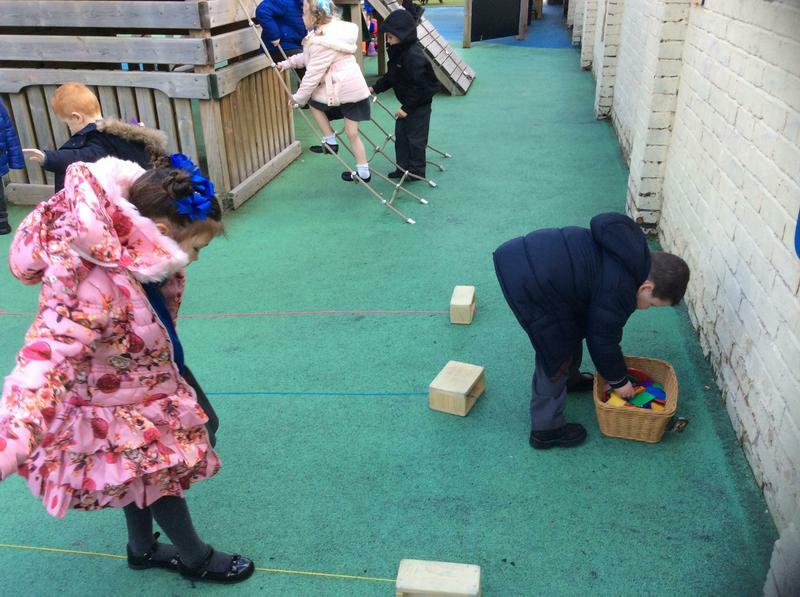 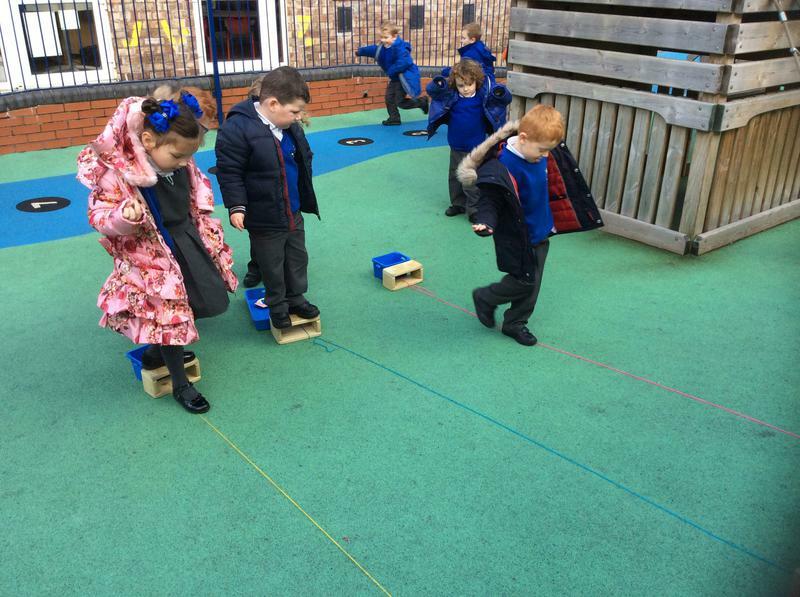 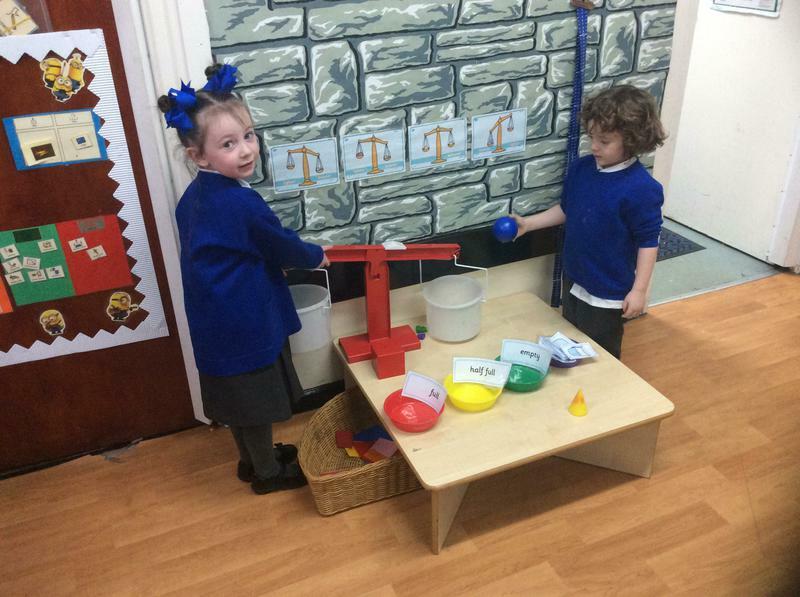 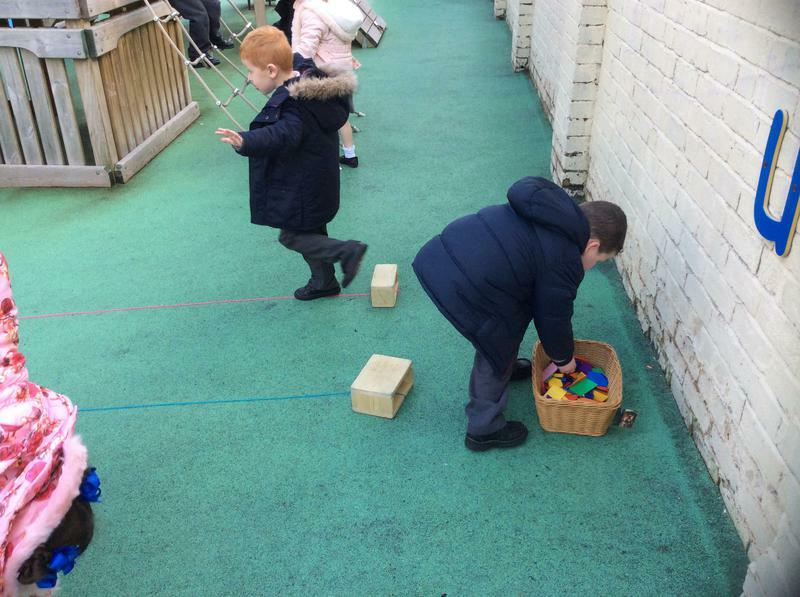 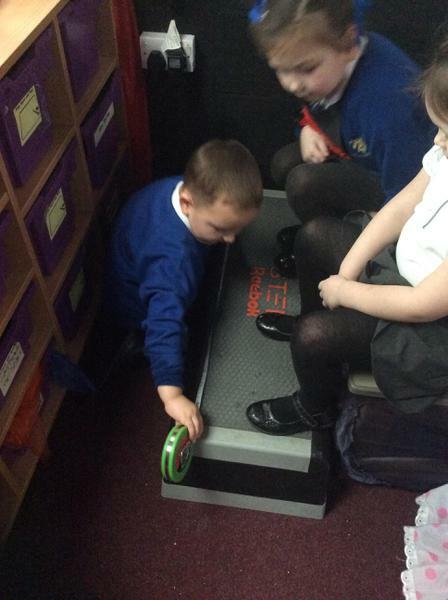 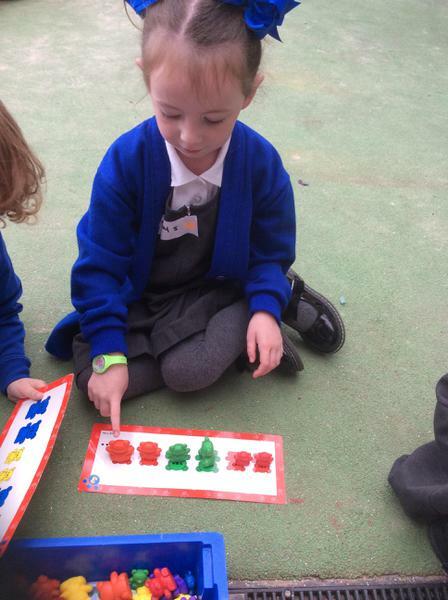 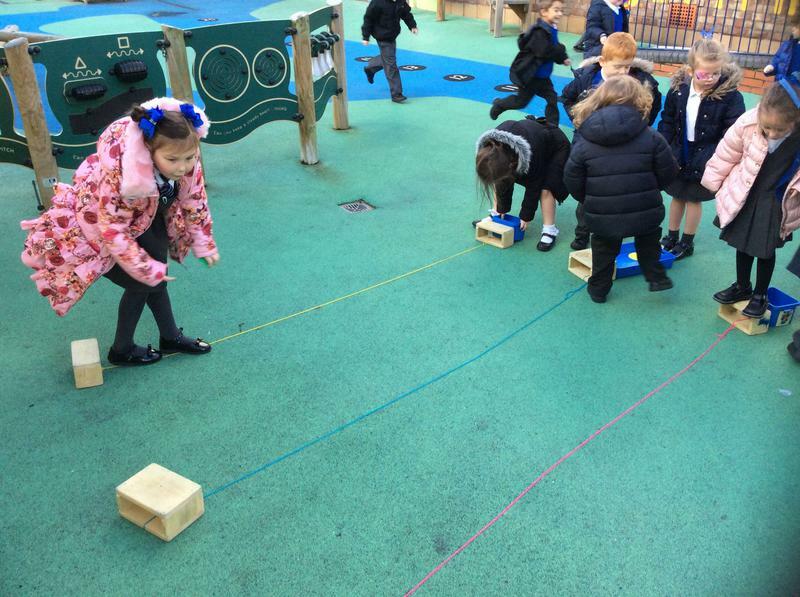 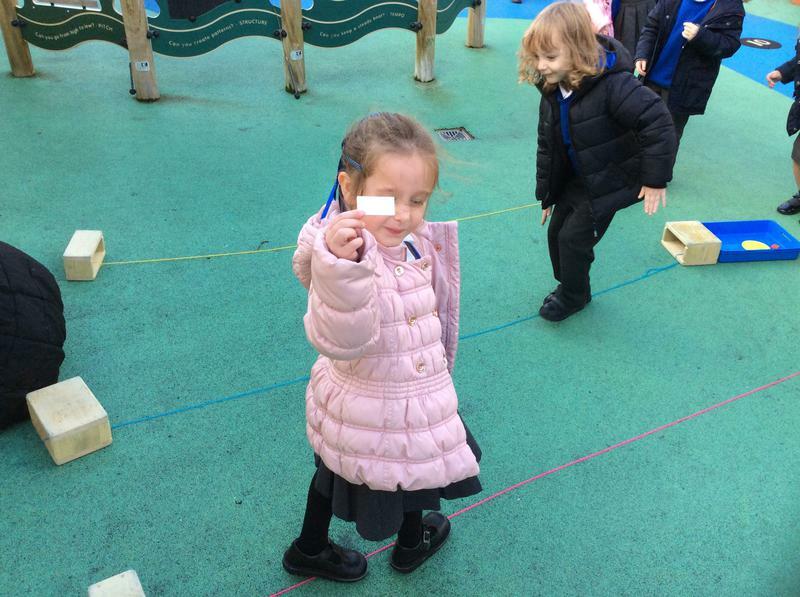 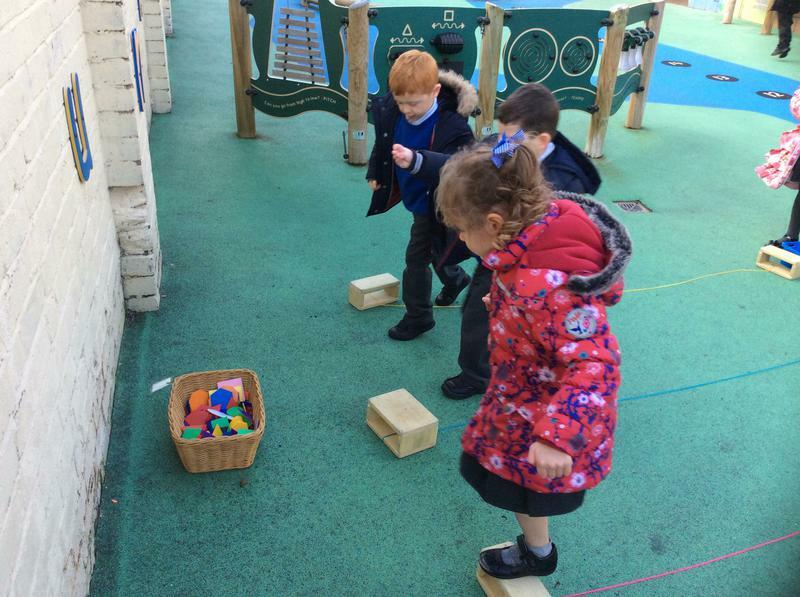 This term we have been working very hard to improve our knowledge of 2D and 3D shapes and learning how to measure in different ways. 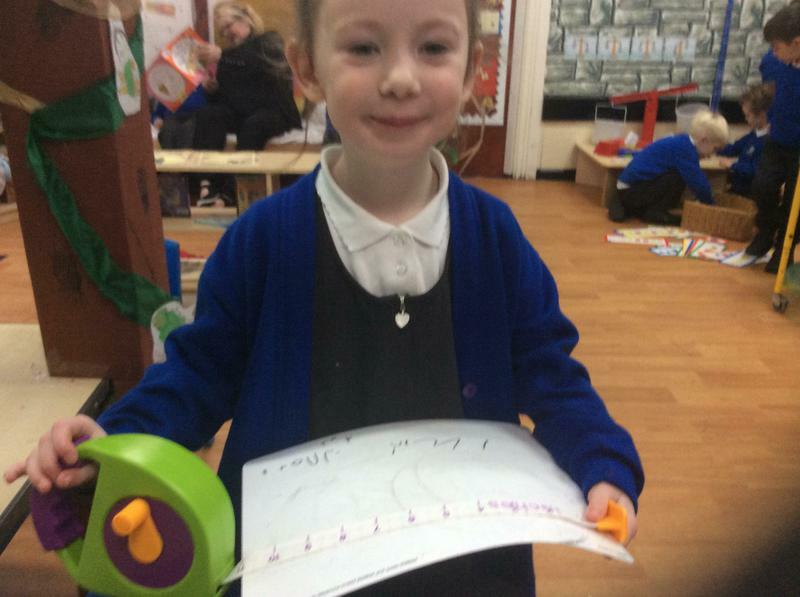 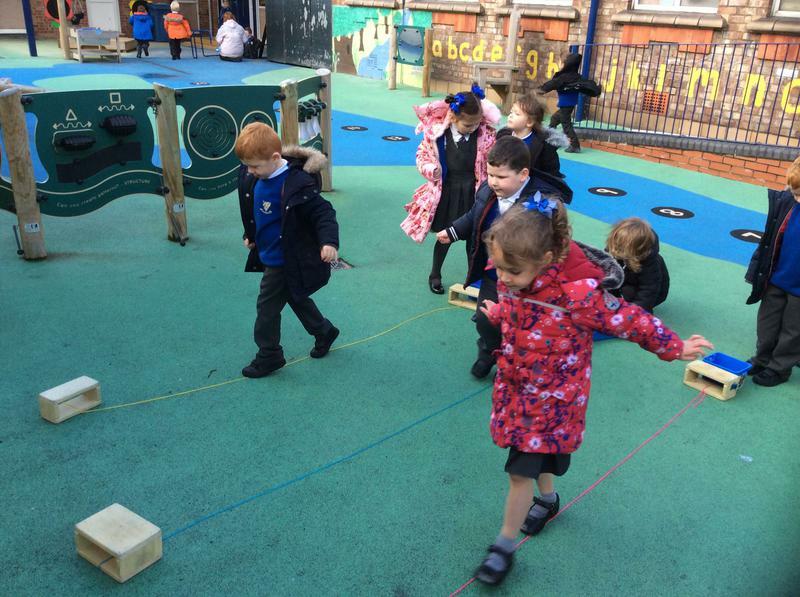 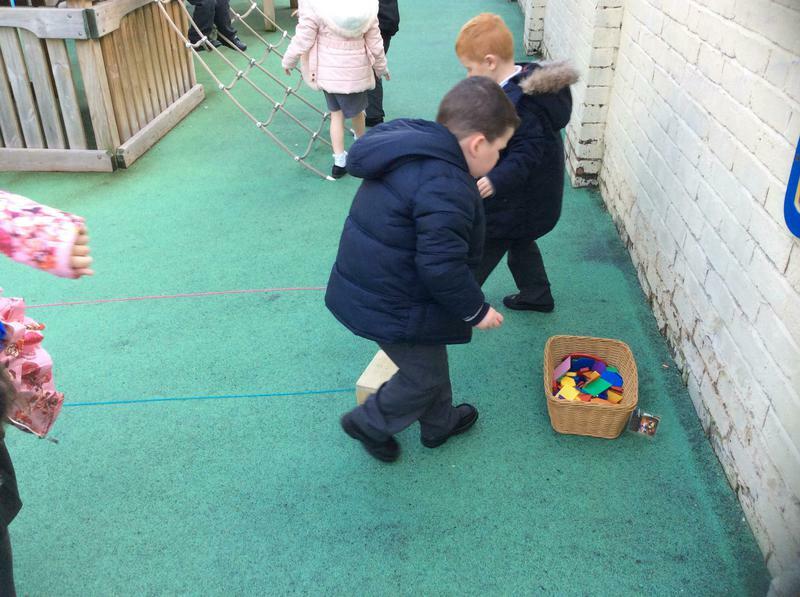 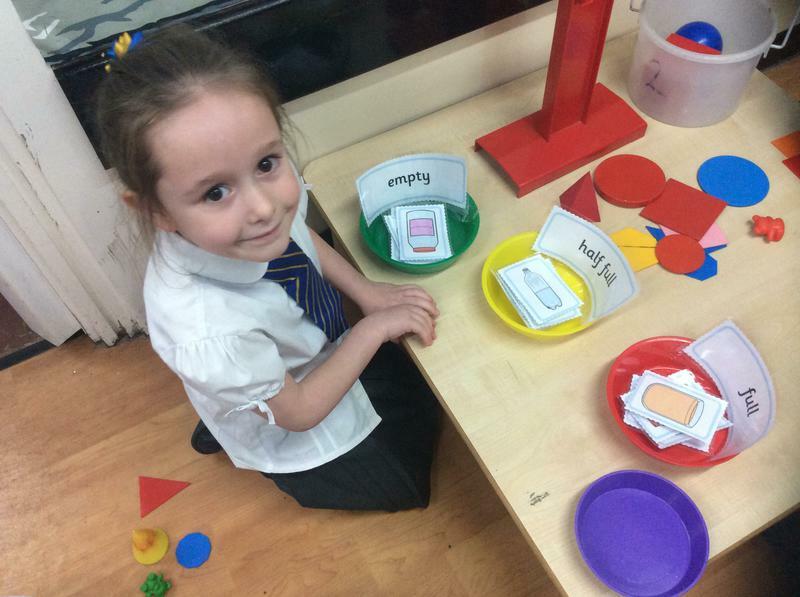 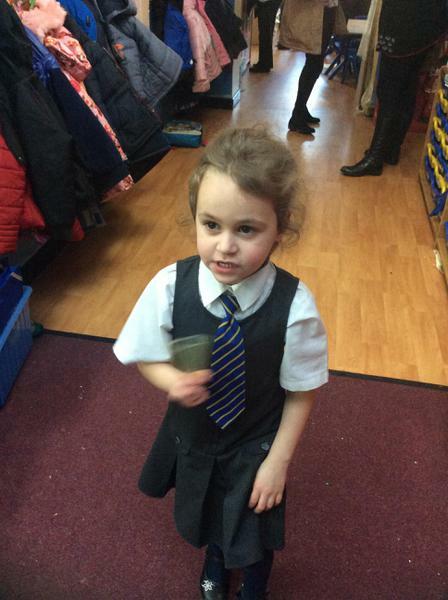 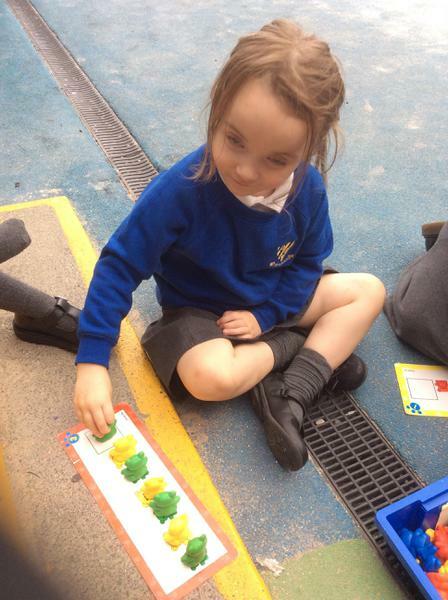 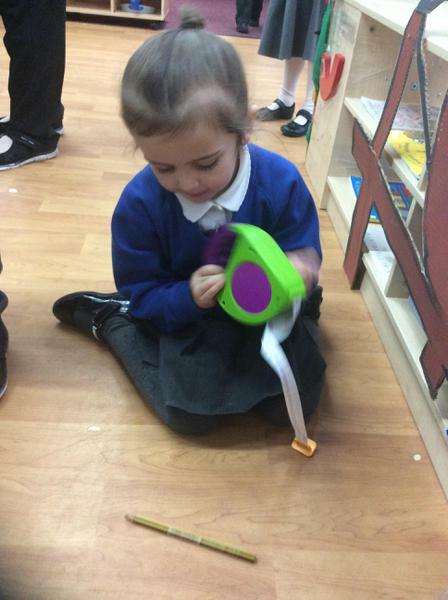 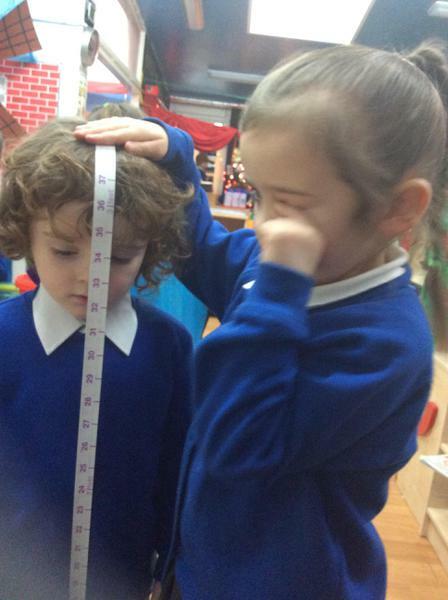 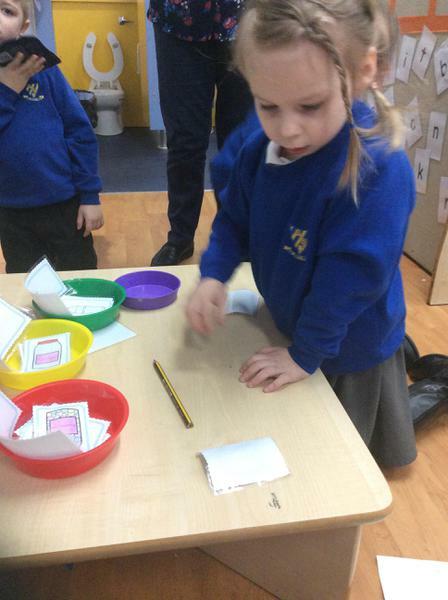 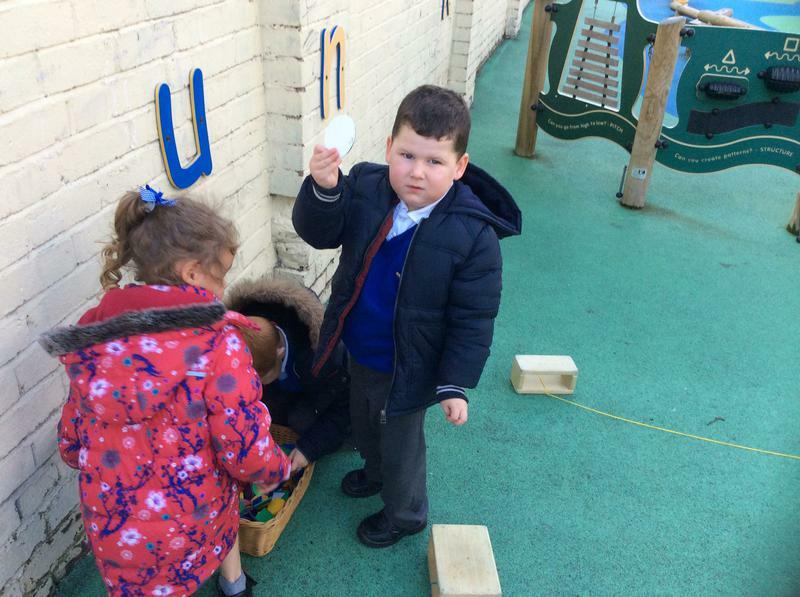 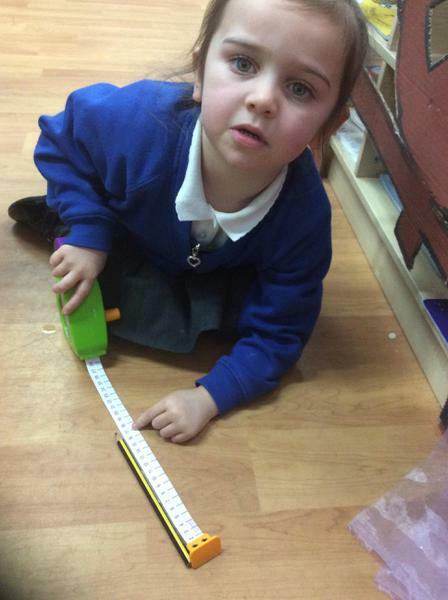 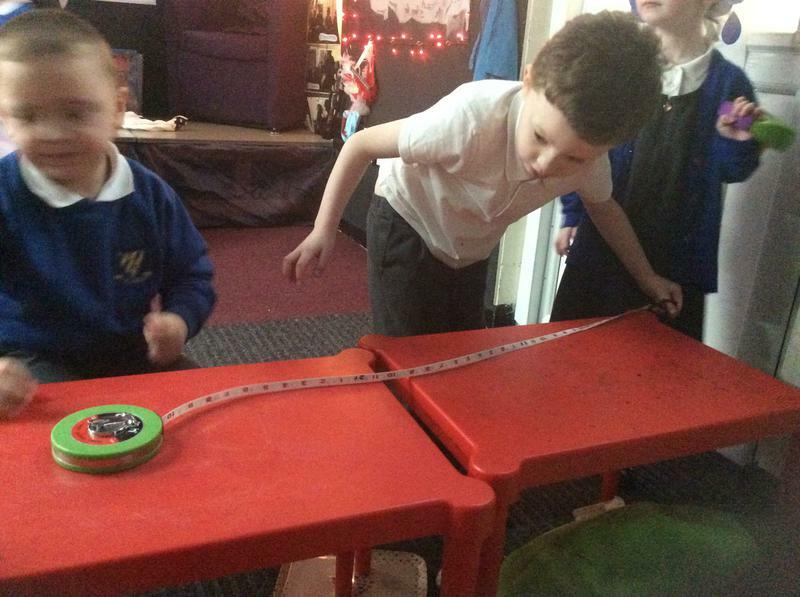 We have learnt rhymes to help us remember shape names, learnt a days of the week song and begun measuring lots of different objects. 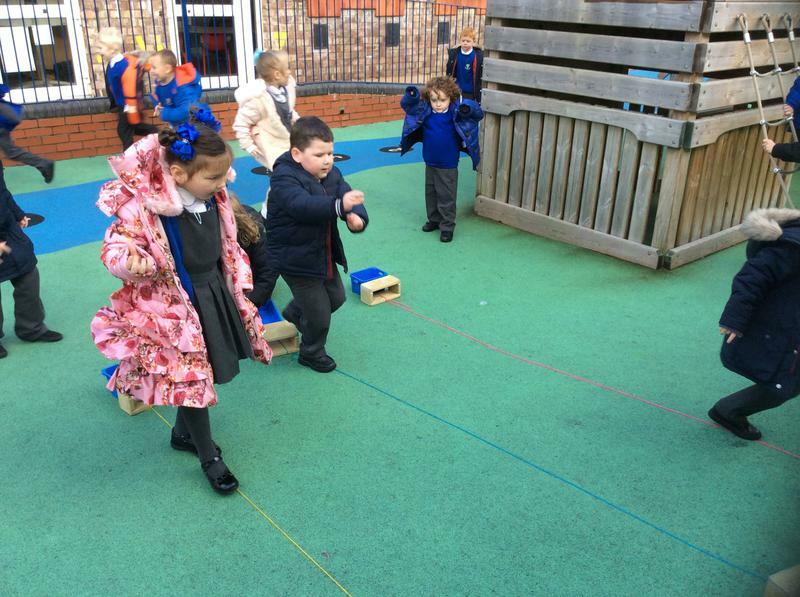 We even had some competitions to see who was the fastest runner and the best star jumper! 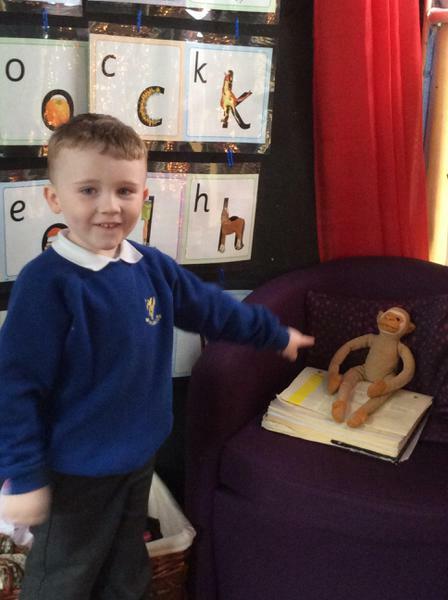 We watched the video clip of the Where's the Monkey? 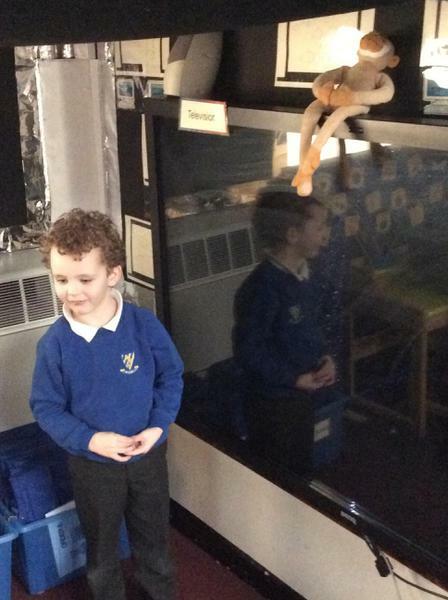 song to help us learn about positional language. 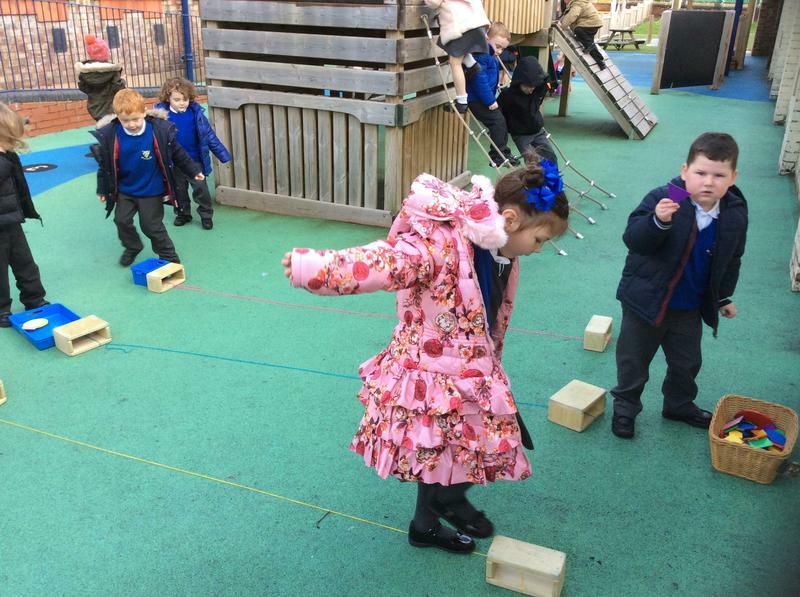 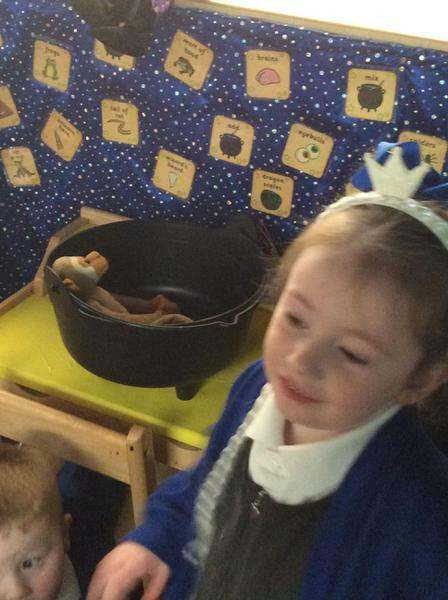 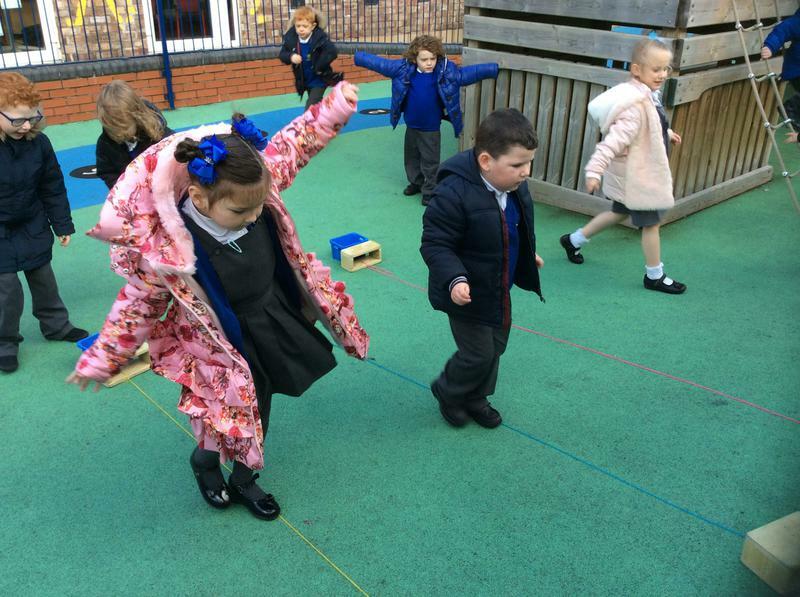 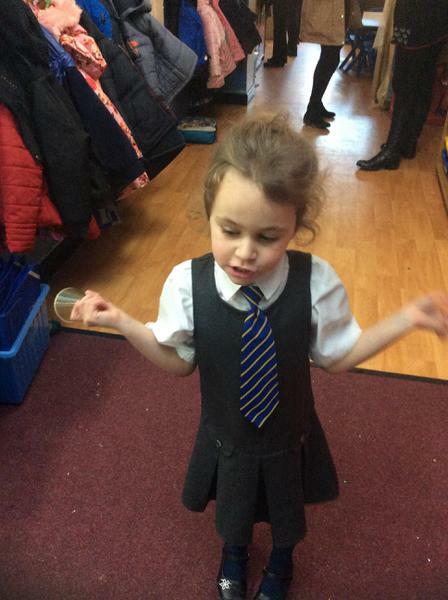 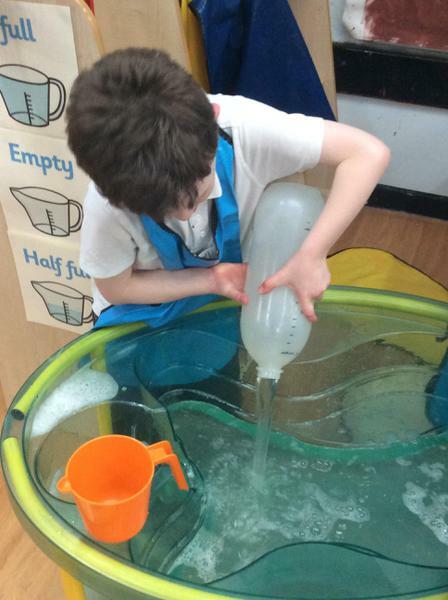 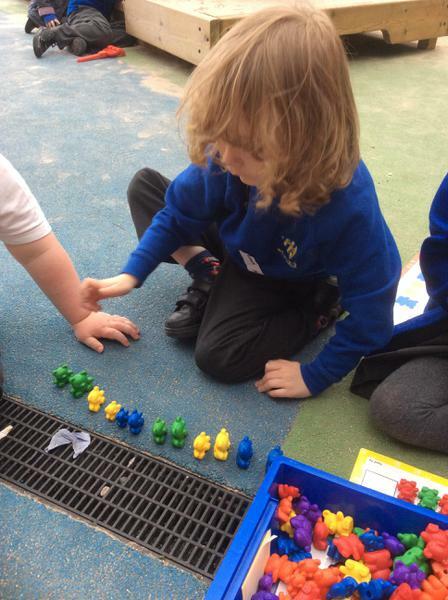 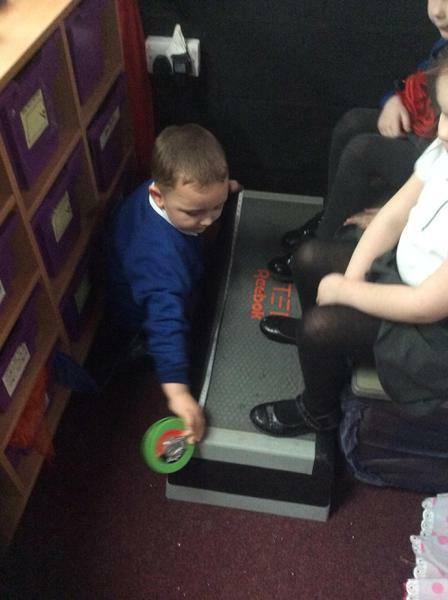 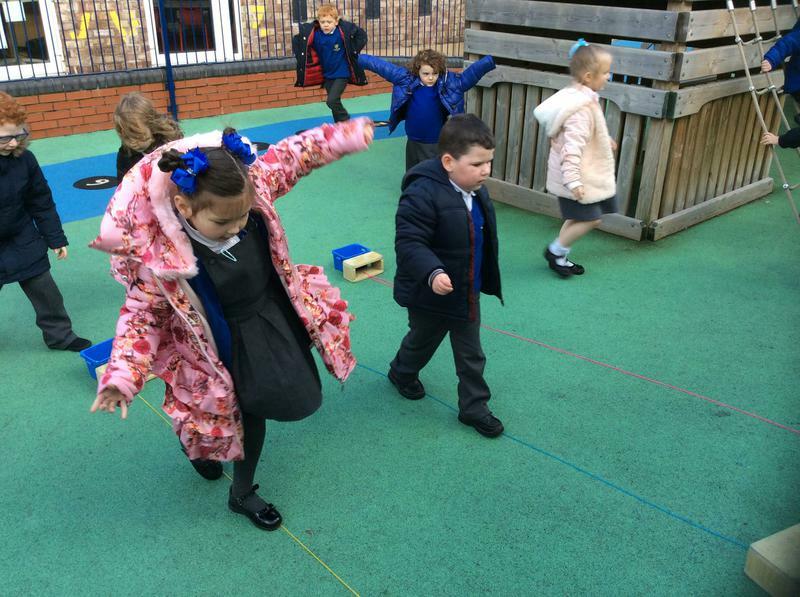 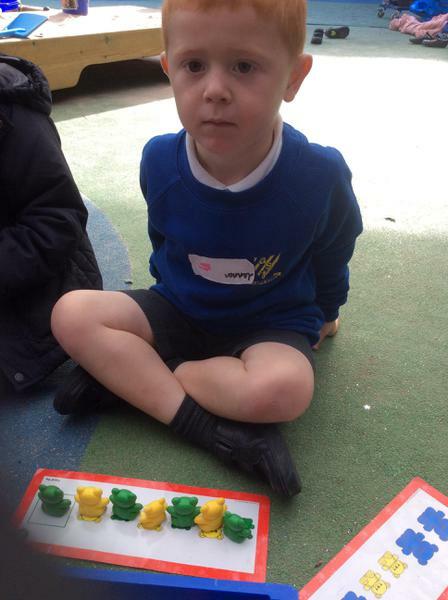 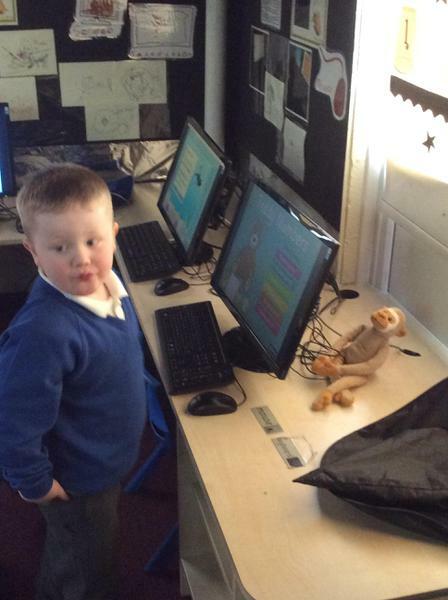 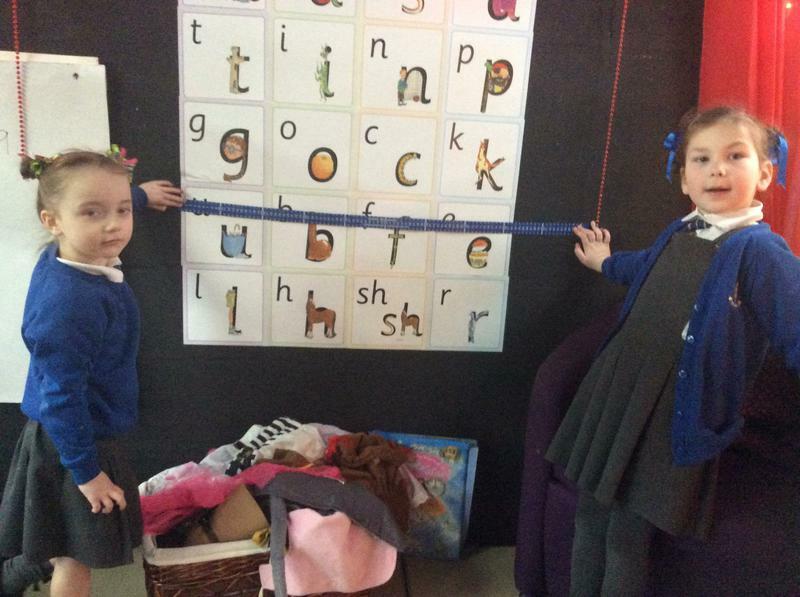 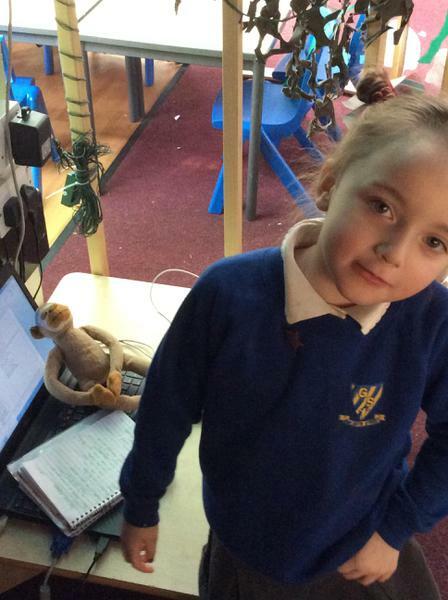 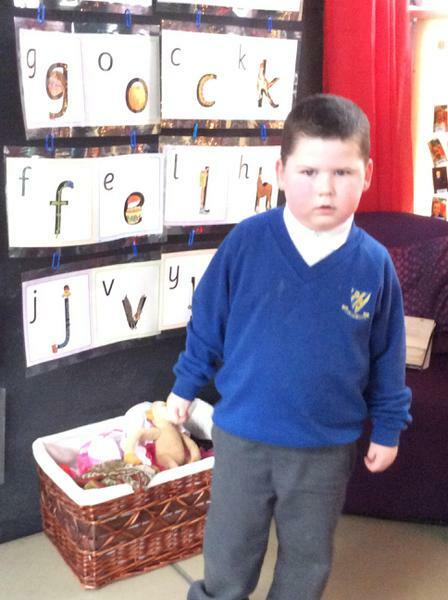 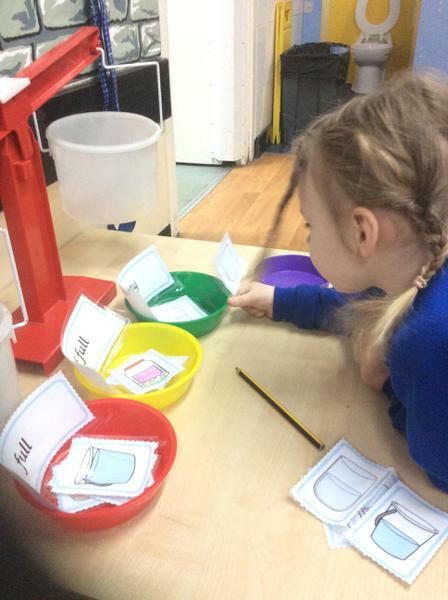 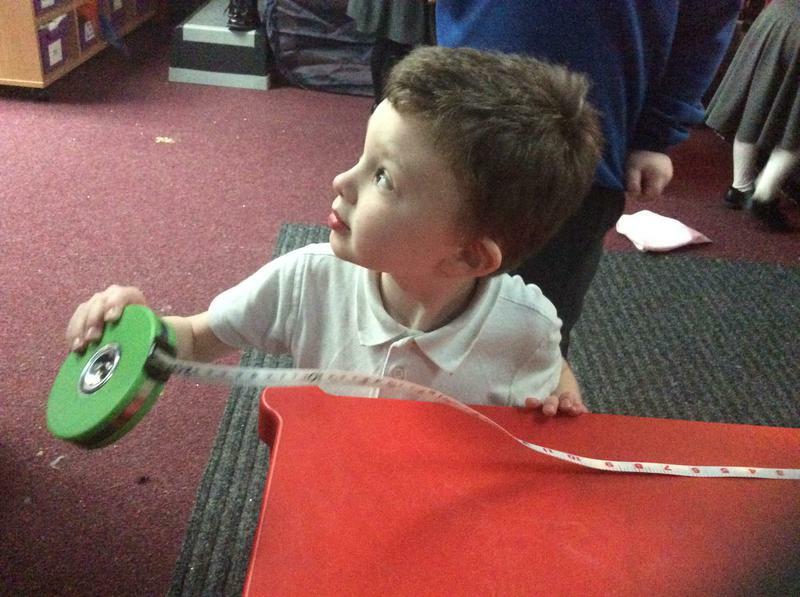 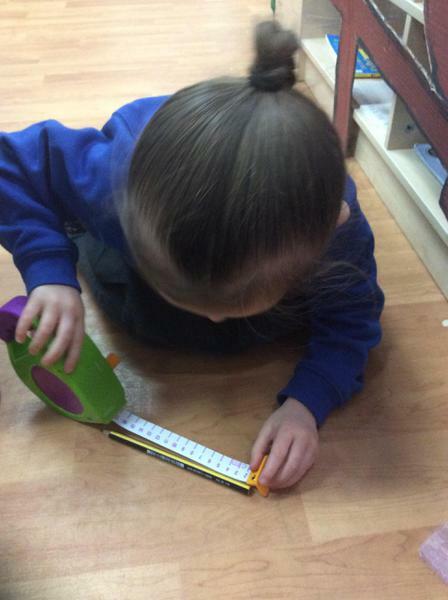 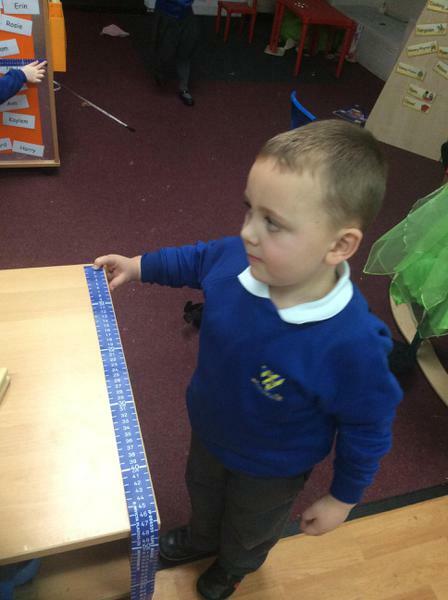 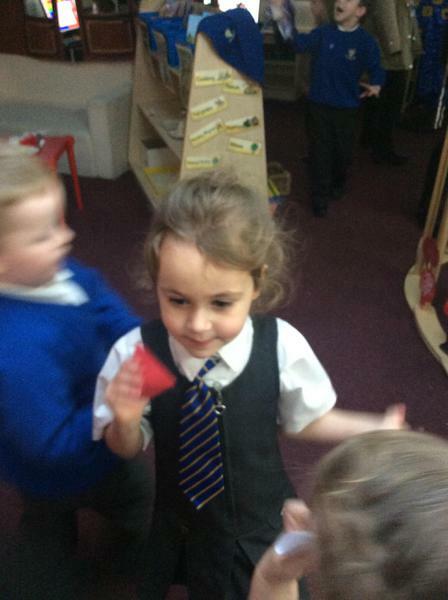 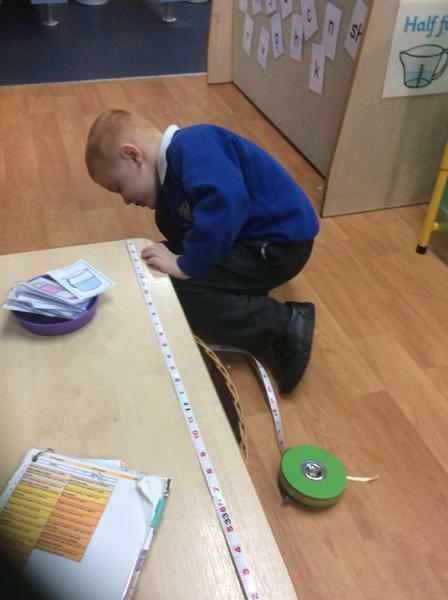 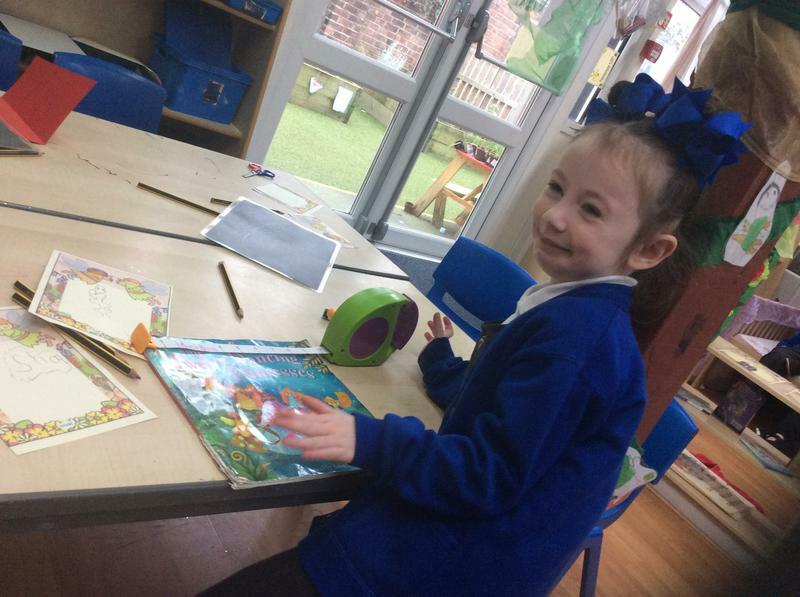 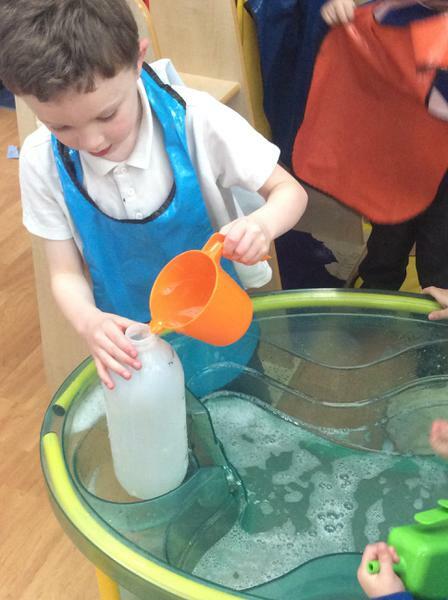 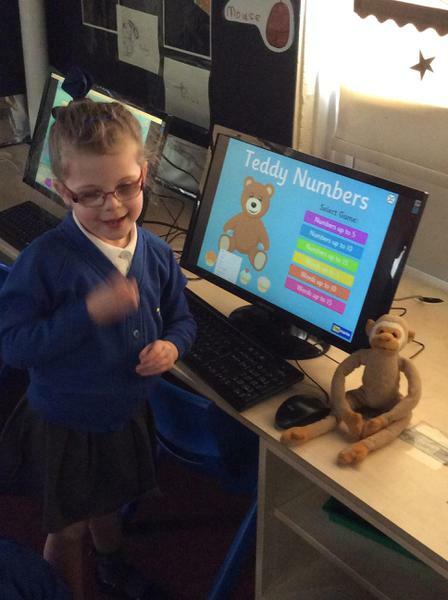 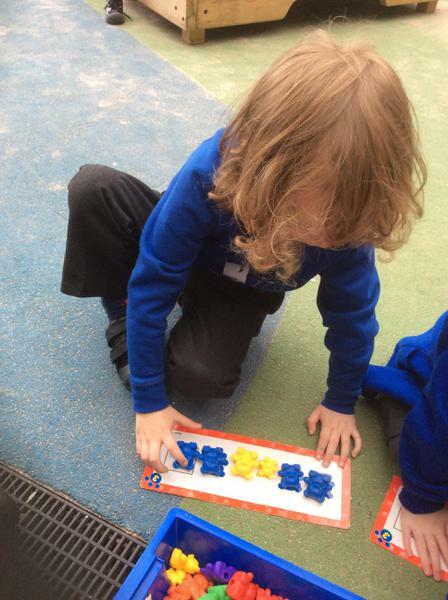 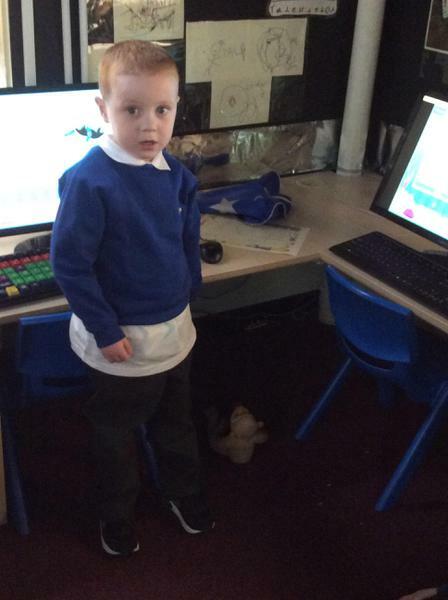 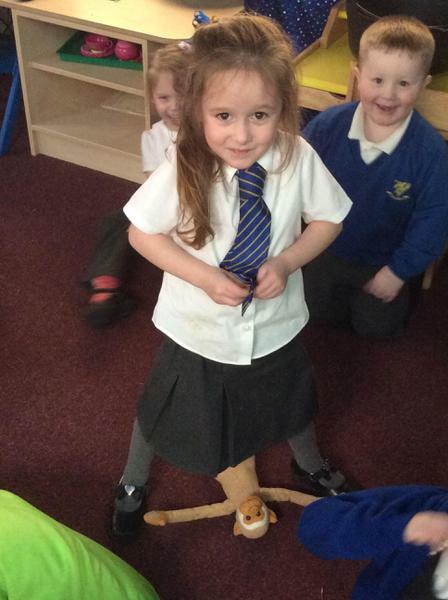 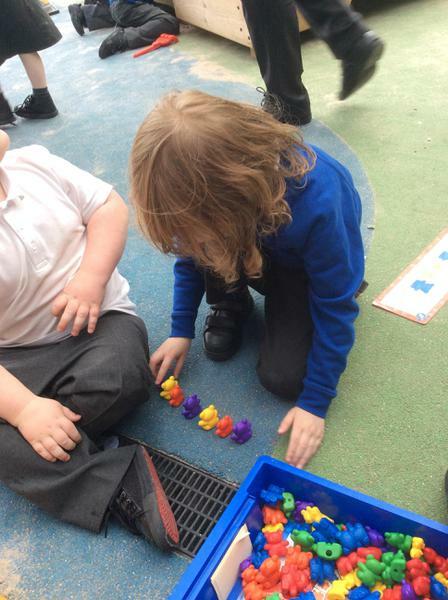 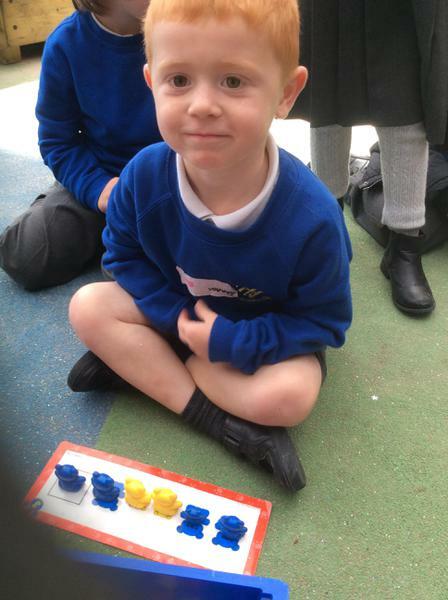 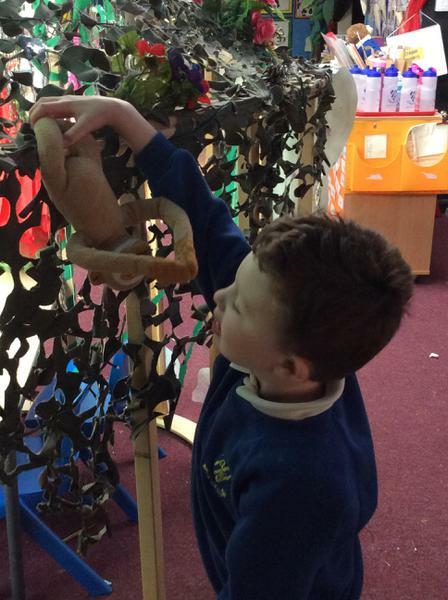 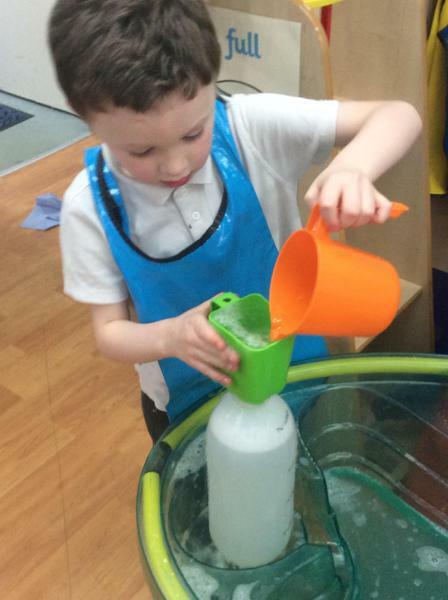 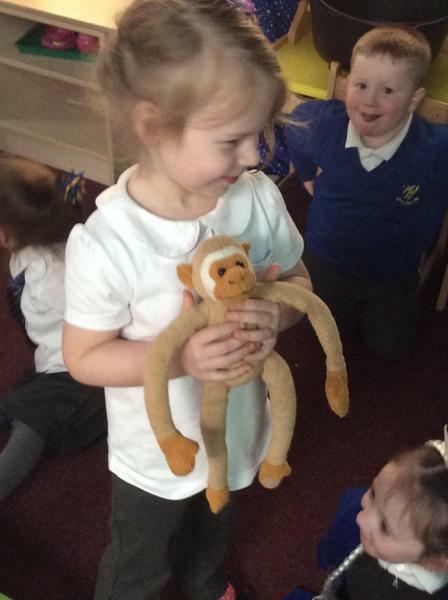 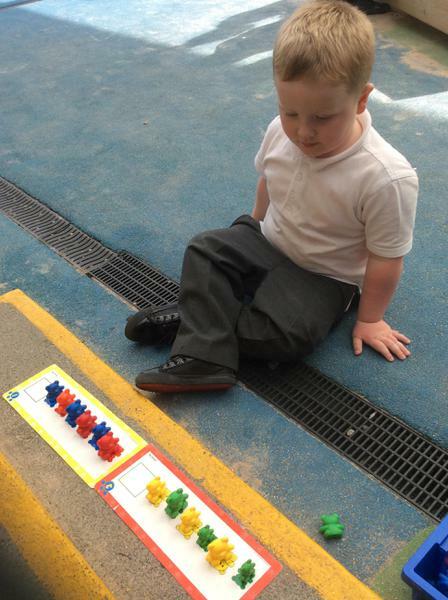 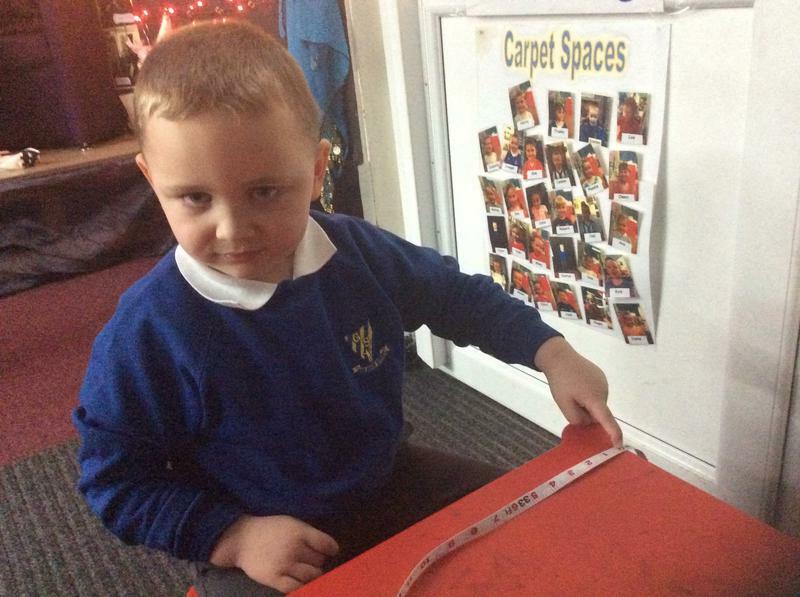 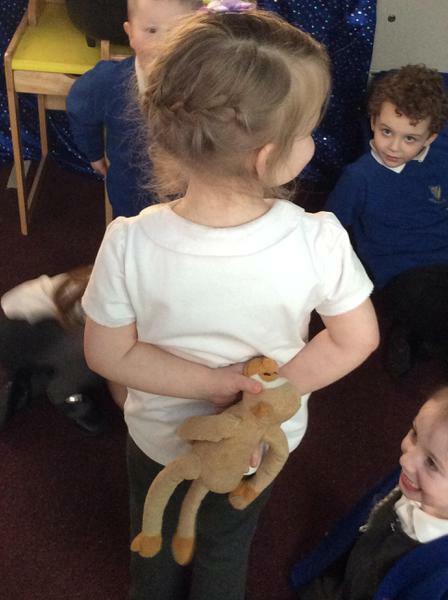 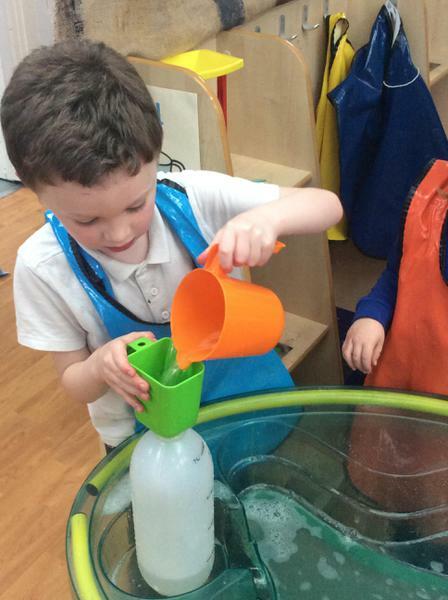 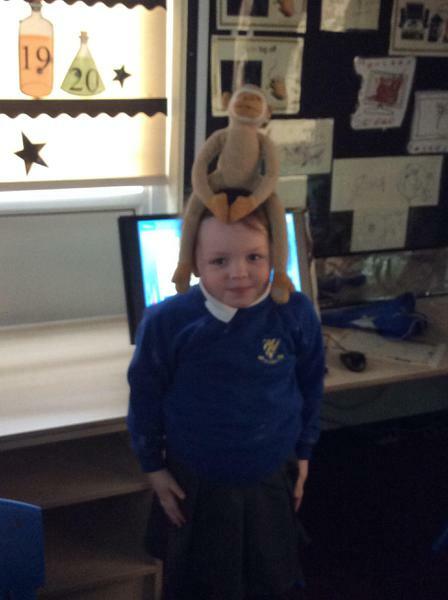 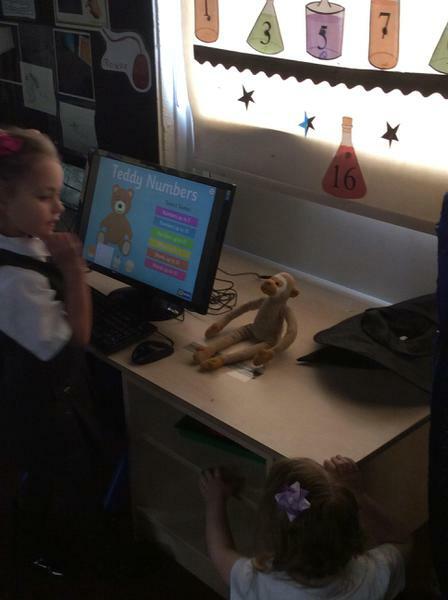 We then put our own monkey around our classroom and used words such as above, behind, on top of, inside, between, under, over and through to describe where he was. 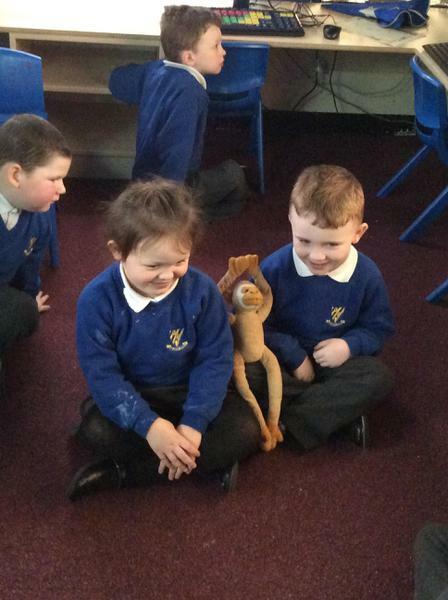 Why not watch the video yourself and join in with the words!